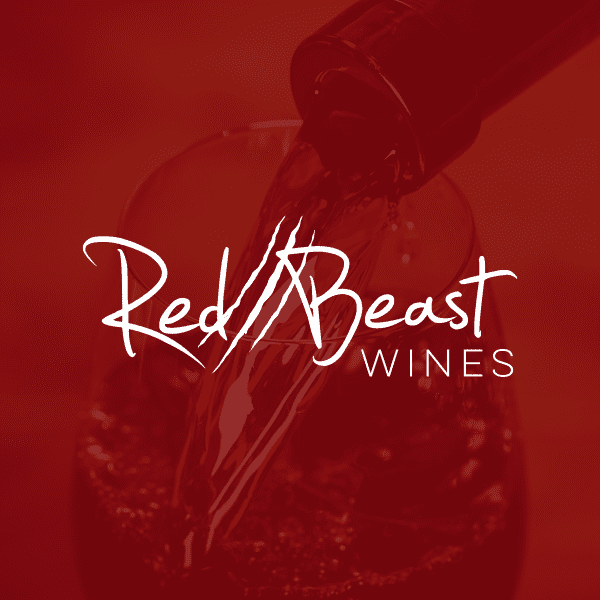 Logo & label design for homebrew wine set up Red Beast Wines. 2015-2016. The look aimed for was the fine line between edgy and stylishly modern. Each varietal of wine will be a different ‘beast’ with a different color bottle, so a mostly neutral-colored label design was needed. The label background will change from a slight cream to a slight grey depending on the bottle color it’s up against. 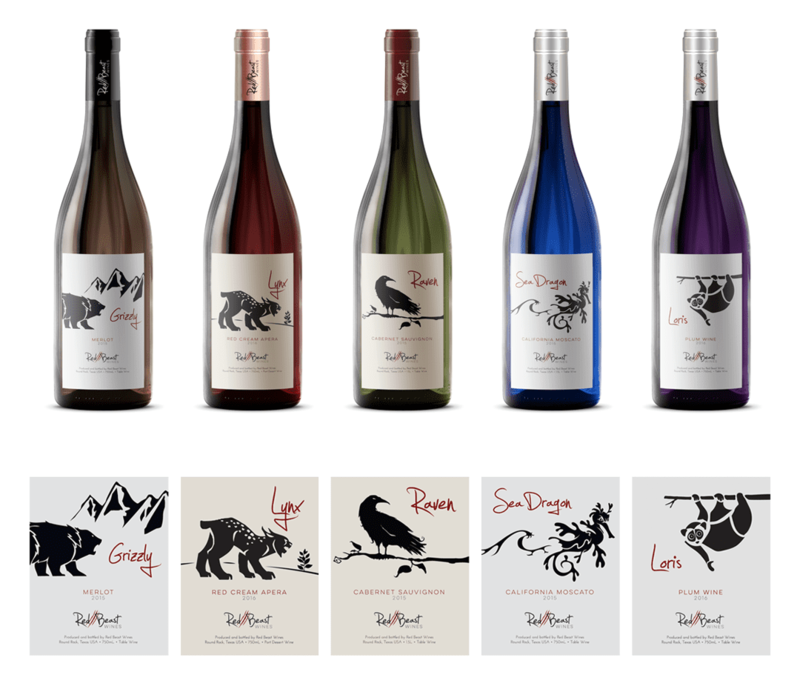 Varietals so far include: Raven (cabernet sauvignon), Sea Dragon (moscato), Grizzly (merlot), Lynx (dessert port), and Loris (plum wine).